The event was held on 25 March 2019 under the theme “Remember Slavery: The Power of the Arts for Justice,” drawing attention to the many examples of artistic expression that have helped us to remember the history and consequences of the Transatlantic Slave Trade, including related issues such as racism and inequality. 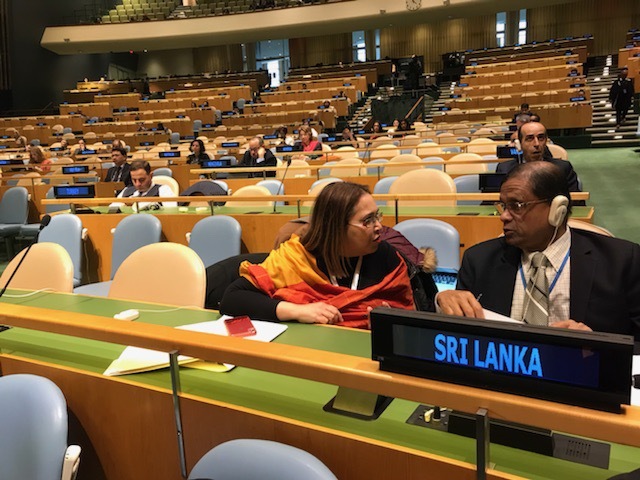 This year’s events were organized by the UN Department of Global Communications where Statements were delivered by the President of the General Assembly, the Secretary-General, regional groups, and the invited keynote speaker, artist Mr. Christopher Cozier of Trinidad and Tobago. The meeting was followed by a cultural and culinary experience, featuring a musical performance by African artistes. 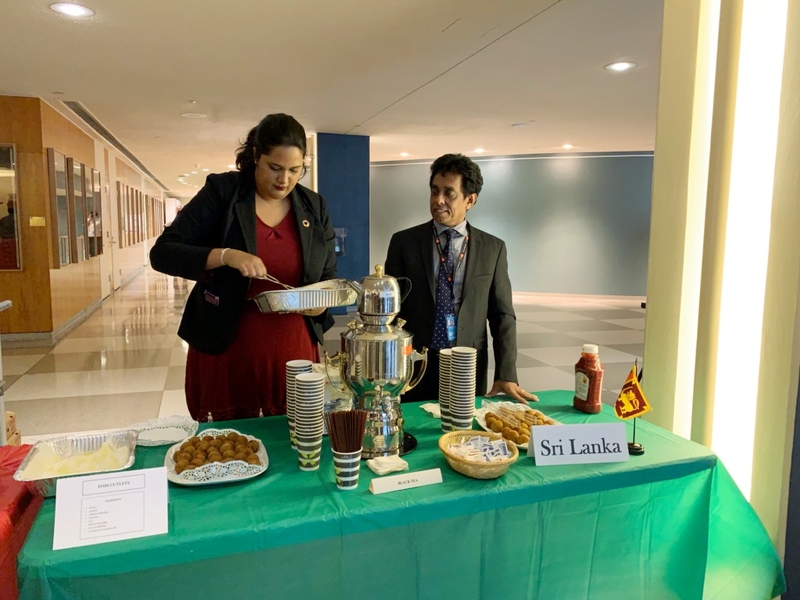 The Sri Lanka Mission contributed traditional fish cutlets and provided hot tea to all guests. Several other Missions including India, United States, Brazil, Guyana, Trinidad and Tobago, Jamaica, also contributed traditional cuisine from their countries.